In the market for a luxe tote? You'd do well to lay claim to this exemplary model from Giuseppe Zanotti. 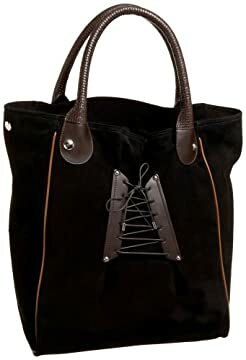 A soft suede body and basket-woven leather handles make good on the promise of lavishness, while the corset-laced accent on the exterior front adds a playful touch to its classic style.